There were plenty of delicious eats to talk about during the Taste of San Juan late last month. But one booth that made some waves during the annual culinary affair was newcomer JD Flannel Donuts and Coffee. 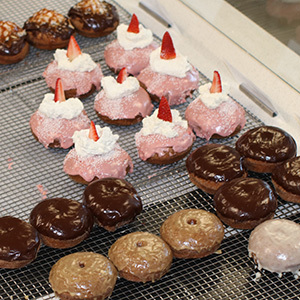 Those who stopped by the booth got to enjoy freshly glazed donuts, which were such a hit that the shop took home the honorable mention award for the dessert category that night. 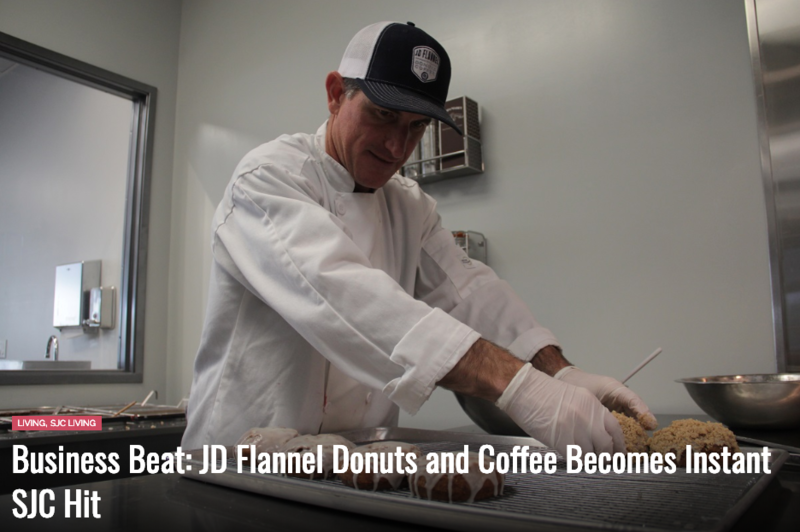 “We prepared our donuts and glazed them right there on the table, so we were able to serve them fresh and hot like we do in the shop,” JD Flannel co-owner Dave Rhode told The Capistrano Dispatch last week. Inside the new store, located in a shopping center along Del Obispo Street off Camino Capistrano, Rhode and fellow owner John Miller have their honorable-mention plaque displayed proudly for customers to see. Despite the possibility of rainfall, about 350 people came out to sample foods from several of San Juan Capistrano’s favorite eateries on Thursday, Jan. 31. 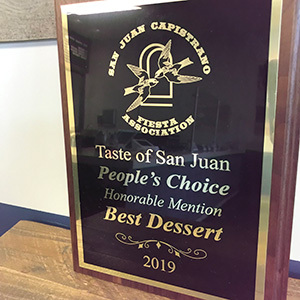 The annual Taste of San Juan, hosted by the Fiesta Association, featured 25 restaurants, including Bad to the Bone BBQ, El Adobe de Capistrano, Trevor’s at the Tracks and Thai Juan On. Docent Brewing was also on hand to provide guests with samples of their craft beer. The culinary affair marked the latest event in conjunction with the Fiesta de las Golondrinas parade season, which all leads up to the 61st annual Swallows Day Parade on March 23.